A small balcony in the Dallas, Texas uptown area is not quite where you would picture a talented maker would get his start! Indeed, it is where you would find Julian Martinez II of 5 X 30 Workshop! Growing up Julian helped his Dad with repairs around the house and then when something was needed it was built. This carried on with Julian into adulthood and soon Julian found himself out on that balcony and the 5 X 30 Workshop was in operation! Julian shows his multifaceted skills in his entry in the #maythe4th2k18 contest! A shot goblet that he had to design, then turn on the lathe, scroll the design on the scrollsaw and epoxy pour into the cutouts demonstrates a delightful melding of talents! 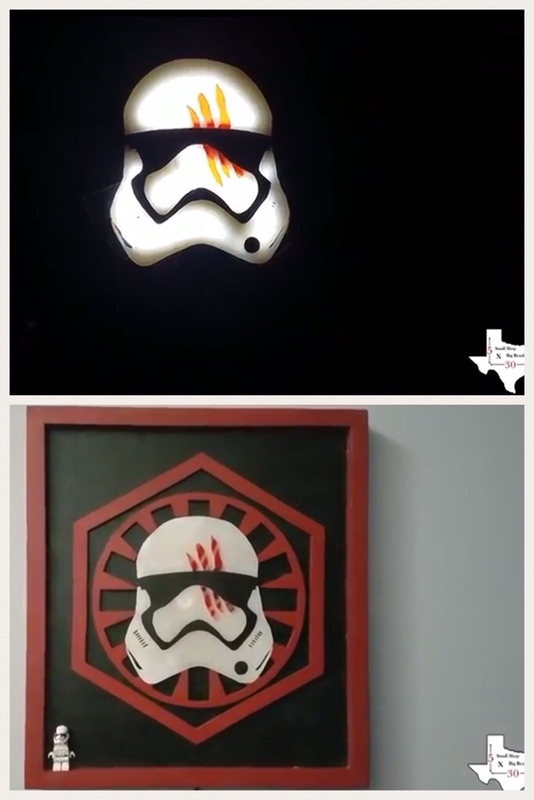 Another entry he designed and made is the Storm Trooper which lights up! The Yoshi pixelated cutting board was recently made incorporating 221 individual blocks of walnut, cherry, maple, padauk and wedge, measuring a large 12” X 15” X 1.5”. Previously he had also made a Mario! Christmas time was the perfect time to gift to his wife the beautiful box made of wedge, bloodwood and maple - and he added a delicate bracelet of a favorite jewelry brand! At some point every woodworker must need to weight test something they’ve built, and Julian successfully tests a dollhouse to provide excellent quality assurance! 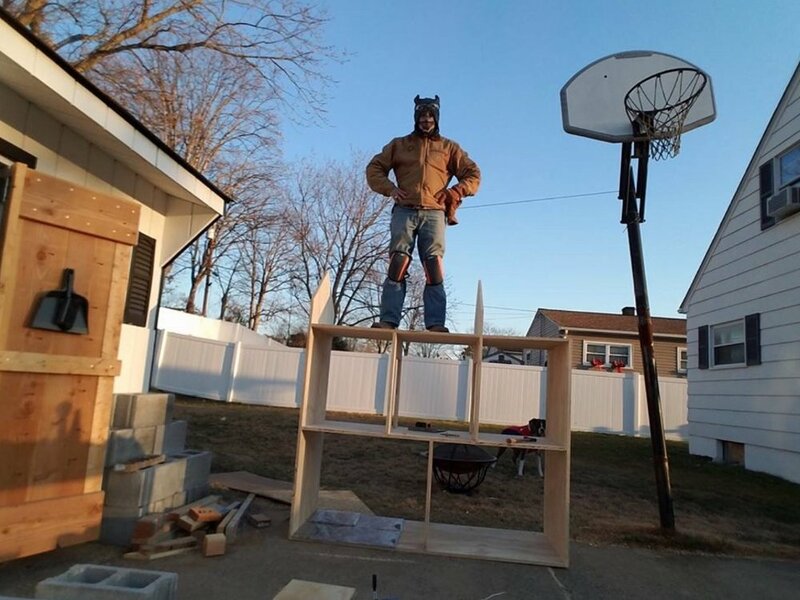 Julian is able to solve storage issues by making components such as the pipe clamp rack pictured here. All of these creations definitely confirm what it says on the 5 X 30 Workshop logo; small shop - BIG RESULTS!